참고 1. 국내외에서 기본소득을 주제로 한 문헌들이 갈수록 늘고 있다. 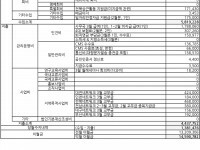 이에 기본소득한국네트워크는 최신문헌들의 정보 공유를 통해 기본소득 연구자들에게 보탬이 되고자 <기본소득 관련 최신문헌 목록>을 주기적으로 발행하기로 했다. Agar, Nicholas (2019). How to Be Human in the Digital Economy. MIT Press. Sen, Amartya (2019). The Future of Economic and Social Rights. Cambridge University Press. USBIG NewsFlash Volume 20, no. 128, February 2019. “Conference Announcement”: The next North American Basic Income Guarantee Congress will be held at the Silberman School of Social Work, Hunter College, New York City, June 15-16, 2019. USBIG NewsFlash Volume 20, no. 128, February 2019. “Research Opportunity”: Rutgers University School of Management and Labor Relations Institute for the Study of Employee Ownership and Profit Sharing: The Roland M. Attenborough Fellowship.